Tom Cruise is back. 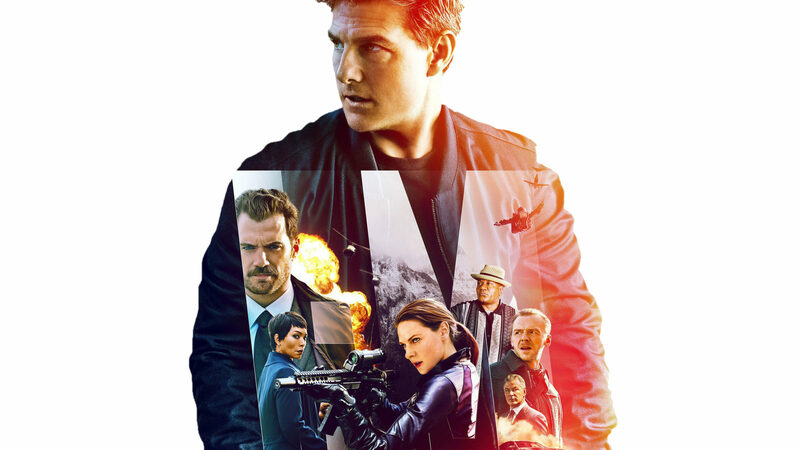 Mission: Impossible Fallout—the sixth movie in the 22-year-old franchise—opened Friday, and if the news can be believed, it scored the highest opening weekend gross of the whole series (a cool $61.5 million domestic plus another $91.5 million worldwide). Given the somewhat cool reception to M:I 5 (aka Rogue Nation), the uptick in popularity for this entry has to please all involved, especially Paramount. You can count me among those who disliked the previous entry. Rebecca Ferguson’s Ilsa Faust upstaged Cruise’s Ethan Hunt at nearly every turn, proving herself to be the bigger badass and better secret agent. Combine that with her acerbic personality, and you had a cookie cutter masculinized modern action chick, a stereotype that has begun to pall. The previous movie’s action was only okay, the plot so-so (in some places verging on ludicrous), and the movie as a whole unmemorable. That could have been a problem for the new flick, as it’s a direct sequel to M:I 5, a first for the series. Little Miss Cookie Cutter returns, as does the bad guy from Rogue Nation, plus Alec Baldwin (now head of the IMF), and the usual suspects among the supporting cast, like Ving Rhames from the very first M:I and Simon Pegg from M:I 3 (the very best of the series, unfortunately overlooked due to the star’s then-news-making public breakdown). I’m unsure as to the purpose all these callbacks to prior films serve. Some are undoubtedly fan service for people who saw, and remember, an action movie from 1996, but Cavill’s speech and Harris’ cryptic threat both seem to establish the underlying theme of past actions having present consequences, but the theme goes nowhere. There’s no payoff for all this, no culmination of the ruminations, so the audience is left kind of puzzled as to what it’s supposed to mean. That, however, is a very small niggle. The movie is, overall, quite good. Granting the undeniable fact that M:I III is the very best of the series, and M:I 2 a stylistically singular entry (thanks to director John Woo), Fallout nevertheless belongs among the series’ stronger entries. Clearly superior to Rogue Nation, and even besting Ghost Protocol (an excellent entry I’ve tended to underrate in the past), Fallout isn’t quite as good as the first M:I, but it has superior action and cinematography, and is overall more thrilling. Despite having the same director/writer as the previous film (Christopher McQuarrie, who also directed Cruise’s Jack Reacher), the movie manages to avoid its problems. Cookie Cutter Action Chick does make a return, but here she’s a team-mate, not the lead of the movie. The action is better, the plot less ludicrous, and the whole movie moves at a satisfying clip. True, I did figure out a major plot point early on (in effect dropping a self-spoiler), but the eventual reveal was followed by a double-cross I didn’t see coming, then a triple cross, then an honest-to-gosh quadruple cross (making four unexpected-but-inevitable betrayals in a row). All of this happened in quick succession and was very satisfying. So, despite me having twigged to something important fairly early, the movie redeemed itself. I’m a fan of action movies, and Fallout is an excellent summer action movie and if it lacks some of the heart of previous entries (which it absolutely does), it’s still a great entry to a great series, and well worth your time. NOTE: Exactly 18 months ago today I dropped my first post here on the CH blog. Time flies! Can an action guy really fall for a Cookie Cutter Action Chick? They tried to allow her some femininity, but frankly I didn’t buy it. The tension between Hunt and his former was good and expected. The CIA “Head Mother Female In Charge” was hard to watch. Clearly she was over compensating for her femaleness…. I did enjoy the movie’s action sequences. The helicopter chase… Damn. Agree with this review. Go see this movie for it’s action and thrills. I loved the bathroom fight scene and how nothing goes right. Reminded me of a Jackie Chan style scene. Is the Castalia website broken? I wanted to post a review of an interesting novel that bridges pulp and new wave, but the editor interface was broken. It also appears that nobody has posted in several days. We’ve informed the webmaster, who is working to restore functionality. As soon as it comes back, I have a backlog of announcements and reviews to post. To whom it may concern: Infogalactic has been down for five days. The site is still up, but you can’t login. Would have posted this at Vox Day’s blog, but I don’t have a Google account.